There are no shortcuts to becoming a safe driver. The more hours you spend training with a professional driving instructor, the safer you will be on today’s dangerous roads. Need a ride? We’ll pick you up! 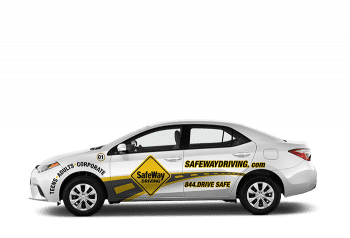 For a small additional fee, your SafeWay Instructor will meet you at your home or office, or you can choose to have the valet time deducted from your lesson. Whether you’re getting your license for the first time, looking to hone your driving skills, or a new resident of the U.S., our qualified team of Instructors are committed to getting you on the road safely. We know you’re busy, that’s why we offer access to our online scheduling system 24/7/365. With drives available seven days a week, you can schedule your driver training on your time. If you or your child has learning differences, that doesn't mean you can't be a great driver. Learn more about how SafeWay Driving promotes driving success for all of our students.